In 1992, Bernard Rose adapted one of Clive Barker’s lesser-known stories, “The Forbidden” from Books of Blood Volume 5, into a film that arguably transcended the importance of the original work. Candyman takes the trappings of Barker’s short and expands on them with a more culturally relevant theme and a lot of disturbing imagery; Rose’s delicate screenplay, following the exploits of Helen (Virgina Madsen) as she attempts to finish a thesis on urban legends involving the Candyman myth in urban areas around Chicago, adopts violence, pain, and legacy as its motifs, setting it amidst the racial disparity of the city. 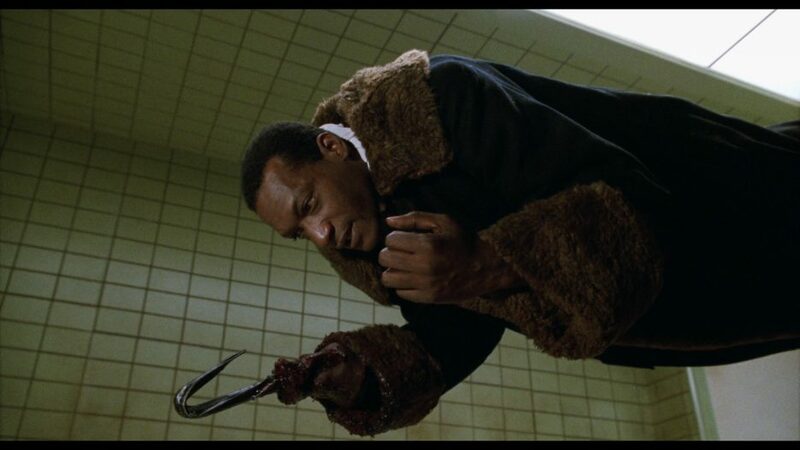 Helen and her grad student partner Bernadette (Kasi Lemmons) stumble upon the legend of Candyman (Tony Todd) after they hear about this particular urban legend in relation serial murders that have occurred near Cabrini-Green, an inner city housing project. The legend: that a black man was once brutally murdered due to an illicit interracial relationship; his hand was cut off, he was covered in honey, and hundreds of bees stung him to death. Thus his name – the Candyman. Immediately Candyman presents an iconic character. All of the information about Candyman’s demise is told as a story, and Rose decides to live the visceral moments out of the film. It makes sense in the context of the story, too – Helen and Bernadette are studying the verbal spread of legend, how specific lore takes hold and how some myths spread through cultures like wildfire to become reality. The story of Candyman is something of a cautionary tale to the residents of Cabrini-Green; despite its ridiculous premise, the urban legend has taken shape and infected those who live in the area, and the bad things that happen to its residents are inevitably attributed to Candyman’s supernatural presence. Just like the characters in the film, Rose understands the ideology of legend. Candyman‘s impact isn’t lessened because of Tony Todd’s very abbreviated appearances – it’s enhanced by them. What we don’t see is often more impactful than what we do, and consistently Rose relies on misdirection or the absence of specific sequences to keep the audience as off-kilter as Helen. These traumatic moments – like when Helen blacks out and finds herself in Cabrini-Green covered and blood as Anne-Marie (Vanessa Williams) screams about her missing baby – are more effective because Candyman continually forces the viewer to reflect on how damaged Helen really is. Despite experiencing Candyman’s visitations with Helen, it’s unclear throughout much of the film whether Candyman is real or if Helen has become obsessed with the legend as others have done before her. But the real impact is during the film’s conclusion as Candyman ends and Helen begins. The finale is almost like Helen’s final understanding of her own thesis, recognizing why urban legends are important. It’s about their lasting legacy, what they say about the person even after they’re gone. It’s about the lingering memories and what that does to the people who live on, and it all comes together in a powerful moment where Helen gets her own vengeance. Candyman may not traverse its racial implications as gracefully as some might hope, but its connotations are still important in presenting the obvious inequalities and division in Chicago. It’s also an incredibly grim film that also finds some hope in its interracial romance. Most importantly, though, it’s a bloody good time with excellent performances from both Madsen and Todd. Candyman‘s crazy premise on paper actually hides a uniquely intelligent film underneath its gory exterior. Scream Factory has released a new Collector’s Edition Blu-ray of Candyman that seems to be their US Region A response to Arrow Video’s UK release. 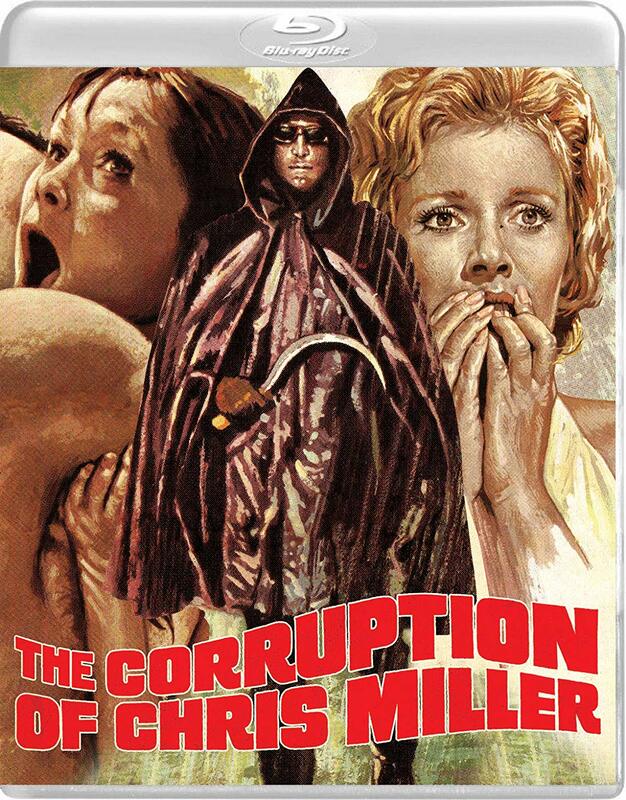 Scream Factory proclaims this is a new 2k scan from a 4k scan of the original negative, and ultimately from what I’ve seen this release looks very similar to Arrow’s transfer as well. Scream includes two discs, one for the theatrical cut of the film and one for the unrated version; funnily enough, the unrated version’s only difference is about 30 seconds of extra footage during the psychologist’s murder. The picture on both of these cuts looks excellent, with color vibrancy really popping from all of the reds in the film (like Madsen’s car) and navigating some particularly difficult lighting scenes well. Grain is thick but consistent, and skin tones look warm and organic. One framing issue or possibly damaged edge seems to occur during the opening helicopter credits; a white bar appears on the righthand side of the screen and stays throughout the credits, never to appear again. This can also be seen in the included Arrow interview as well, so it is potentially also noticeable on that release. Other than that, the video looks fantastic and Candyman has never looked better. 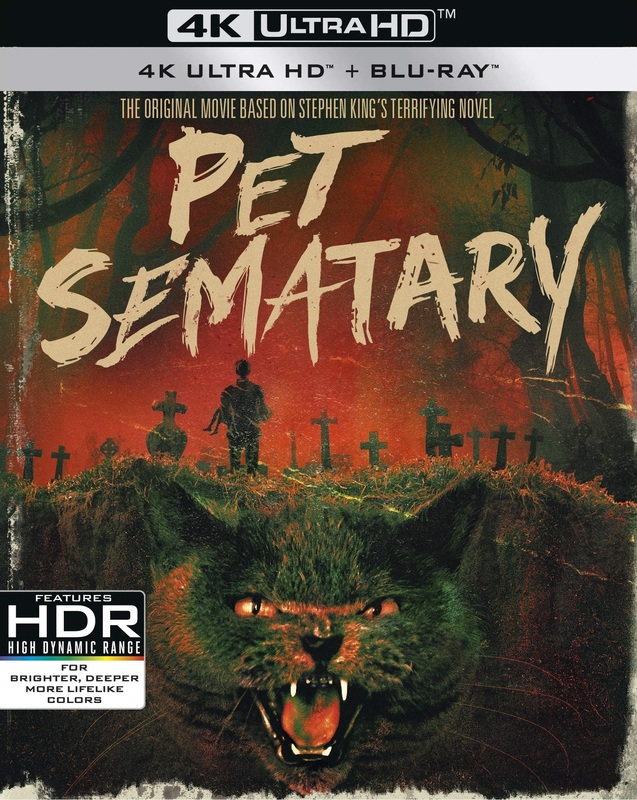 Scream Factory has included both the original 2.0 DTS-HD Master Audio track and a new 5.1 DTS-HD Master audio track; both sound quite good, and even though many will probably not want to listen to the new 5.1, it does offer a nice range of sounds that are most pronounced during the score and with sound effects. English subtitles are also included. The unrated disc gets most of the new special features, including interviews with Tony Todd, Virginia Madsen, Kasi Lemmons, and DeJuan Guy about the making of the film, its lasting impact, and their experiences working with Rose (and also issues with bees). Special effects artists Bob Keen, Mark Coulier, and Gary J. Tunnicliffe talk about designing the hook, a dental plate for Todd during the bees-in-mouth scene, and other makeup effects. Production designer Jane Ann Stewart talks about her real-life experiences researching Cabrini-Green’s look. Douglas E. Winter gives a lengthy presentation about Clive Barker’s body of work and the changes Candyman makes from ‘The Forbidden.” Tananarive Due and Steven Barnes give a 20 minute critical interview about Candyman‘s representation of black culture in the ’90s and its importance (and issues) giving primarily white audiences a black killer. All told, these new features make up about 90 minutes of new interviews, with a lot of interesting information about the film and its production. On the theatrical cut disc, Scream Factory includes two new audio commentaries, one with Tony Todd and Bernard Rose and one with Stephen Jones and Kim Newman about the film, critical reception, etc. A third commentary from a previous release includes Bernard Rose, Clive Barker, Alan Poul, Tony Todd, Virginia Madsen, and Kasi Lemmons, and a fourth includes Bernard Rose moderated by Adam Green and Joe Lynch. 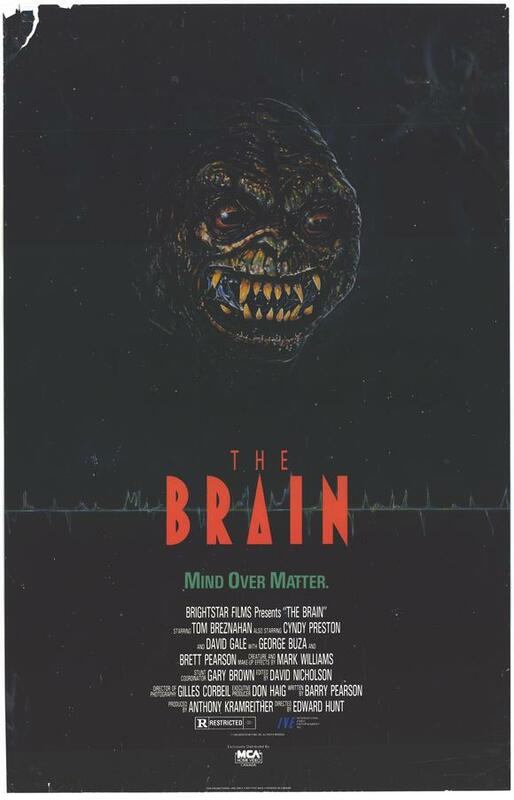 The rest of the featurettes were all available on previous editions of the film, including old interviews with the cast and crew, storyboards, trailers, still galleries, interviews with Clive Barker and Tony Todd, and the full screenplay when the disc is put into a BD-ROM drive. In addition, this package gets a new slipcover and artwork as well as reversible original artwork. Most are probably wondering how this release stacks up to Arrow Video’s UK release. The short answer is that it’s similar but different. The long answer: it appears that the transfer quality is largely the same. Some of the extras on Arrow’s release, like the interviews with Todd and Madsen, are also on this disc. The same goes for the audio commentaries, which are shared by both releases. The biggest difference is the lack of three Bernard Rose short films on this disc, as well as a lesser emphasis on packaging from Scream Factory, which doesn’t include a pull-out booklet of essays. Ultimately, Scream Factory’s release of Candyman is excellent and provides nearly everything a fan needs for this film – and if you don’t want to deal with imports, this will definitely suffice. Candyman is a great movie that features an immediately iconic villain and excellent work from both Virginia Madsen and Tony Todd. Scream Factory's release is excellent, and nearly matches Arrow Video's UK edition besides the lack of a few extras.